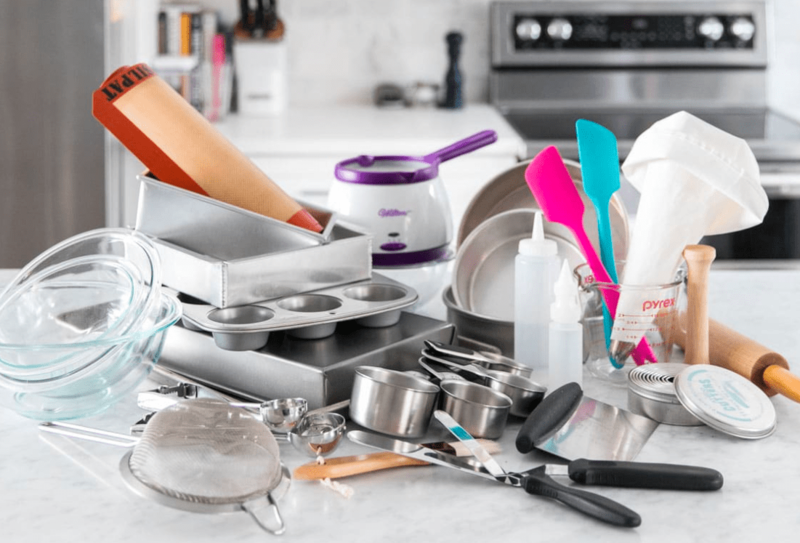 10 Kitchen essentials every newlywed couple invest in: Are you planning a great dinner party at home or simply have to tackle breakfast for your beloved? The key to triumph these situations is to have the right kitchen essentials. Once you tie the knot you must ensure that you have the right kitchen tools so that it is on par that can save you in any difficult situation. This is the first thing that comes to our mind as from our morning breakfast to evening brunches are dependent on this kitchen essential. As your morning is incomplete without a nice cup of tea you must invest in a nice teapot moreover this will enhance the prettiness of your kitchen so invest generously. Even when you have a guest at your home a beautiful teapot will impress your guest without even having the first sip of tea. In order to avoid digging around everywhere for the right spoon or fork and not just, for this reason, you must have it so that you are never short of utensils when you have a guest at your home. This is the most imperative part of the kitchen that you should have a nice utensil set and enough utensils that if in case you have lots of guest at home you don’t have to face an embarrassing situation at that time. A really sharp edge chief’s knife is of great importance because if you invest in the right knife it will reduce your donkeywork to a great extent and will last for many years. You must ensure that it should be high-carbon stainless steel knife as it lasts longer as compared to other common knives. When we have those lovely utensils we should also have some space to store them so you must have a utensil cork. The beautiful cork will make your kitchen look beautiful moreover the cork sits on the counter so you must invest in a nice utensil cork. This one essential will update your kitchen and work to a great extent. While searching for a nice place for our utensils we should not skip on a spoon rest as we really need one and you will surely realize this until you have used one. And this one of those kitchens essential will streamline your work apart from that it looks so striking when placed right. When you have to roast or bake up your favourite dessert this will surely be a weapon to mollify your craving. Once you start using it this will soon become your go-to cooking essential because of the versatility of purpose it fulfils in your kitchen and enables you to pick enormous options when you and your hubby is hosting a party. This kitchen essential is a life-saver as it is helpful in many ways because you can protect the knives blade also it prevents the spreading of harmful bacteria moreover it will reduce to bare bones while cleaning. The best choice will be a non-porous, odour-resistant plastic and polypropylene due to its durability and require very little care to maintain the board. As this kitchen essential is helpful in making soups, smoothies, shakes, whipping egg whites or cream and tomato puree ergo is a must-have in your kitchen. You should go for the one that has a push button as that makes easy for you to control it and reduce the pulse action. Rather than slipping the dishes in front of guests or to avoid making several rounds to serve food to your family you must choose a cute way to serve in one go. You check out beautiful designs online and order one at great discounts and deals by looking for some naaptol coupons. Using a nice tray to serve food or drinks will really make you realize how important it is to have one in the kitchen. This small unnoticeable kitchen essential is of great help while working in the kitchen as you need this item every now and then. You will surely need it as this is just one of the basic things you can never live without one while working in the kitchen. As soon as you tie the knot you will realize that how you spend a lot of time in the kitchen as home cooked food is more preferable as compared to dining in your favourite restaurants. In order to make your kitchen journey much easier, the aforementioned kitchen essentials will streamline your work.